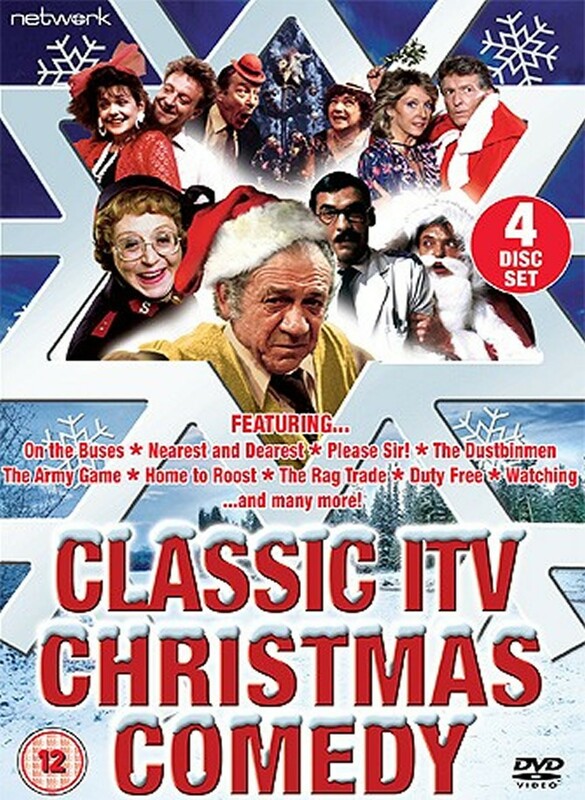 An unmissable collection of festive episodes from all your comedy favourites! Bernard and Penny’s wedding dream turns sour. Stan and Jack land Christmas Day duty in the Depot. All This and Christmas Too! 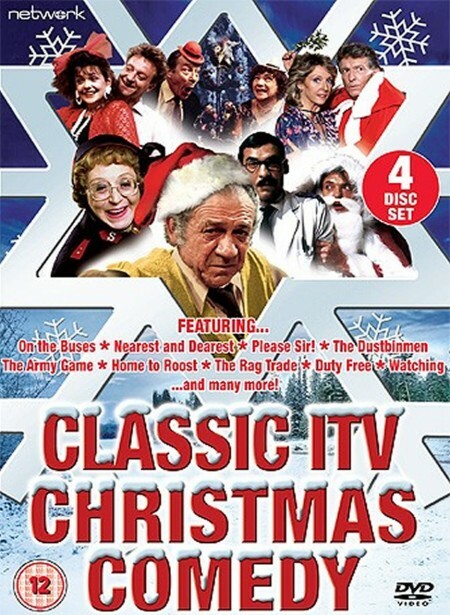 Sid James stars as a put-upon father in the run-up to Christmas. Eli invests the Christmas Club money in a panto. Billy risks his Dad’s wrath when he fancies a pair of yellow trousers for Christmas. Dorothy and Robert are planning to be away from each other this Christmas. Stanley Baxter’s Christmas Box explodes to give us a seasonal send-up with all the trimmings. Will the conflict between Harold and Paddy dampen the Christmas spirit? Father Duddleswell is full of Christmas spirit. The Army Game cast perform a Christmas panto. George and Gabrielle’s Christmas plans go awry. Can X-Ray Figgis and the others expect Christmas cheer from Doctor Thorpe? Ida is shocked when Robert announces that he’s invited his boss to Christmas dinner. Captain Ridley tries to explain to a group of children what Christmas used to be like. David manages to persuade Amy to spend a Christmas holiday in Spain. Can the residents escape the reign of Flora now that Christmas has come round again? Henry is planning an intimate Yuletide break, but his family have other ideas. Brenda, Pamela and Malcolm set out to get a Christmas tree.